This simple cry was to strike fear into the hearts of entire kingdoms for centuries, during the Medieval period later referred to as the Viking Age. 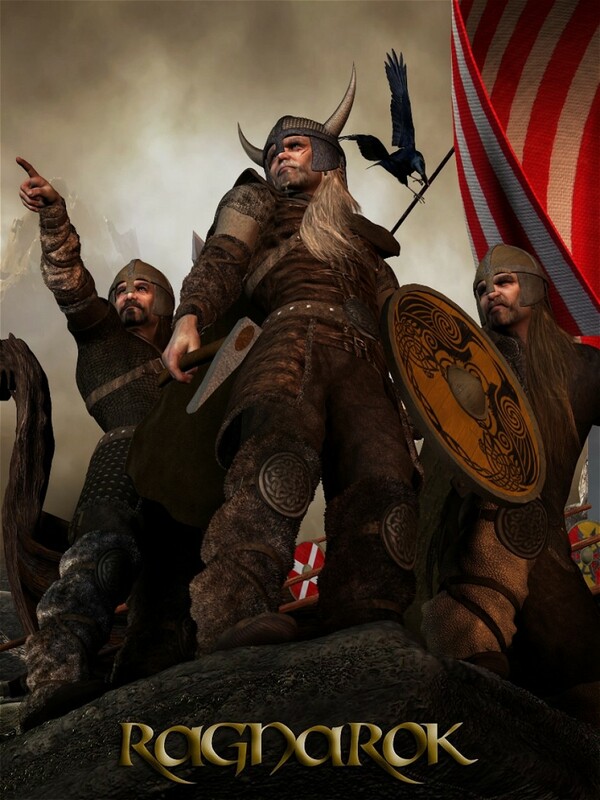 Now you can re-create the great sagas of folklore with Ragnarok, a detailed and versatile Viking clothing set for Michael4. This unique, high quality set contains 14 conforming clothing figures as well as 10 smart-propped accessories. The clothing items all include the popular Full Body Morphs BodyBuilder, Bulk and Superhero, for creating the perfect hulking warriors, as well as numerous adjustment and style morphs. The smart prop accessories comprise of left and right handed versions of Axe, Hatchet, Sword, Spear and Shield. The shield also has 20 unique designs, included as MAT poses. Just remember, trust in the gods, they're strong Valhalla is where we all must belong.